We recently brought you a blog article about the future potential of utilising SMS marketing in Australia for contacting emergency services. This is just the start of how SMS can benefit people in need. It has recently been announced that Lifeline will trial using SMS software for its national crisis service. Lifeline is an Australian national charity that provides 24/7 services for crisis support and suicide prevention. It provides access to online, voice call and face-to-face support for every Australian requiring help regardless of age, gender, ethnicity, sexual orientation, or religion. According to the Lifeline website, it answers 1800 calls on average every day, and more than a million calls every year. It is a crucial service that saves lives. It was announced in the news on October 3, 2018, that Lifeline has recently partnered with Social Ventures Australia and has launched a trial into providing support to Australians experiencing crisis via text message. This service will be funded by the government to enable Lifeline to develop this country’s first crisis support service to be SMS-based. 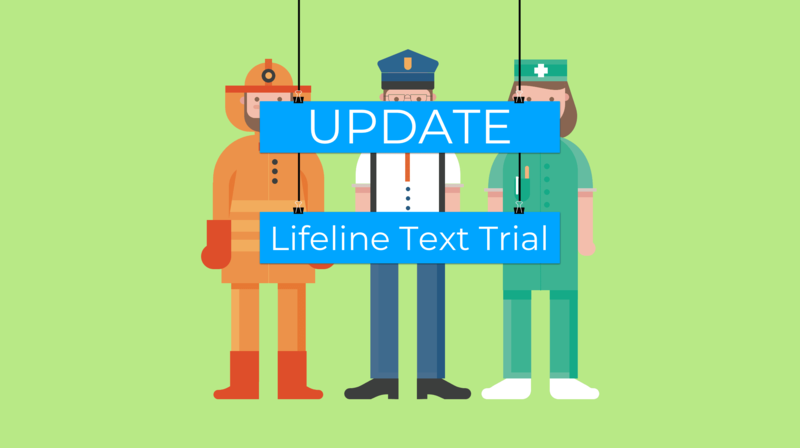 Using SMS software, the Lifeline Text Trial will provide direct SMS access to Lifeline Crisis Supporters. It will be available as part of a feasibility study over the next few months from October 2018, to determine the value and cost-effectiveness of a national SMS-based service for crisis support. It is envisaged that this service will complement the current 13 11 14 telephone crisis line. Part of the trial seeks to discover how the text service can potentially improve the provision of Australian mental health services in the future. The trial is predominantly targeted towards Australian aged 15-44, as this demographic is most likely to prefer the availability of the SMS service. It’s an important step forward for Lifeline, especially as suicide rates across Australia are currently at more than a ten-year high. Access to this trial service is via 0477 13 11 14 seven days a week between 6-10pm AEDT. This is just another example of the huge potential for positive change SMS has in society today. ClickSend is a proud provider of SMS marketing in Australia. Partner with us to discover how SMS can benefit your business or organisation and its clients or members.